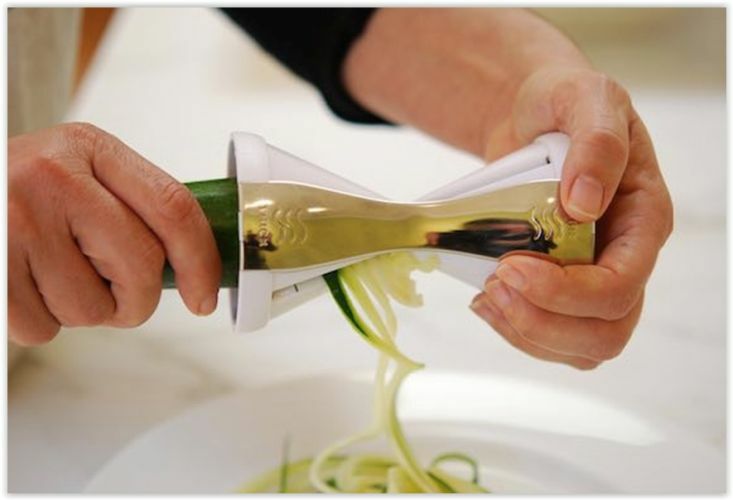 Spiralizing is a new, revolutionary way of eating low-carb, gluten-free and highly nutritious dishes by slicing zucchini and other vegetables and fruits into spiral-shaped strands. A remarkable range of shapes, sizes, and even textures can be produced by varying both blade and technique. 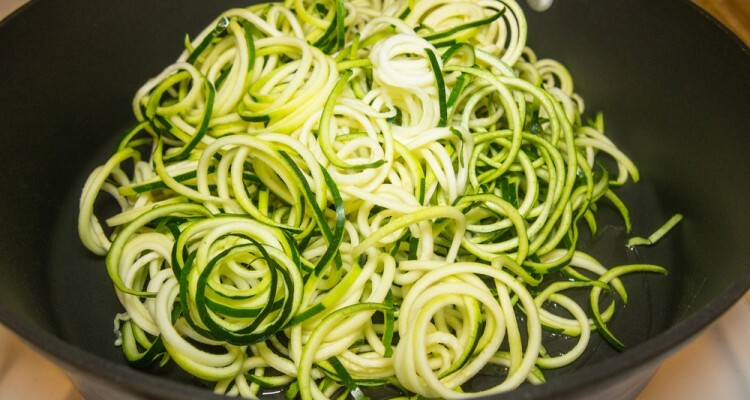 Spiralized veggies make an excellent substitute for pasta, noodles, couscous and rice. 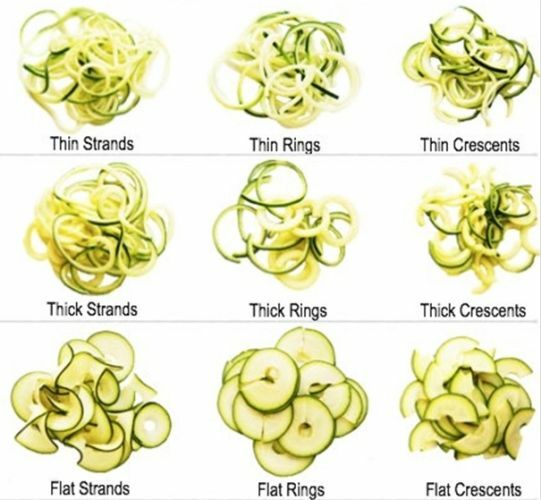 Often you can simply swap out traditional ingredients for spiralized veggies and end up with a tastier dish! 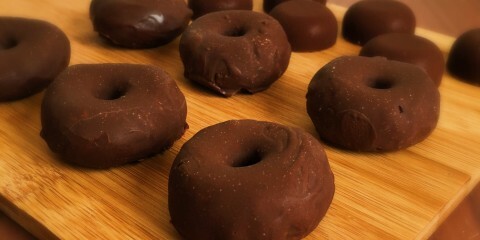 Calories: 458. Sodium: 178 mg. Dietary fiber: 5.0 g. Total fat: 33.3 g. Total carbs: 15.7 g. Protein: 26.9 g.
Heat the olive oil in a medium skillet, then cook the garlic until it begins to brown. Remove and drain on paper towels. Add the onion and ginger to the same still-hot skillet and cook for 3-4 minutes, until the onion turns translucent. 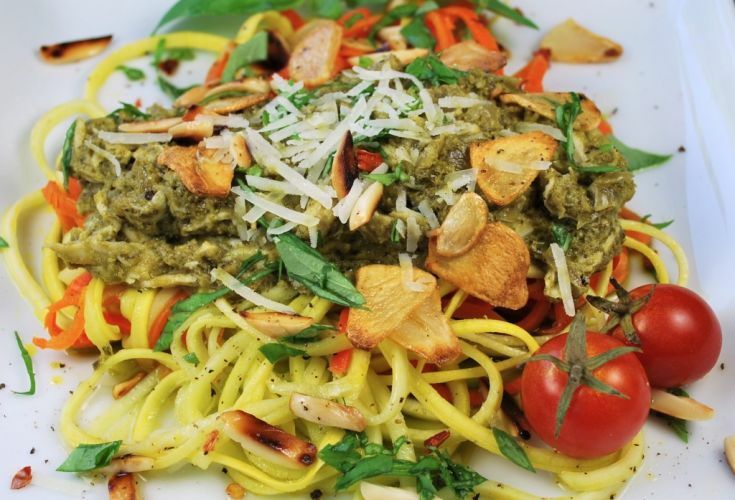 Combine the pesto, wine, and coconut milk and pour over the chicken. 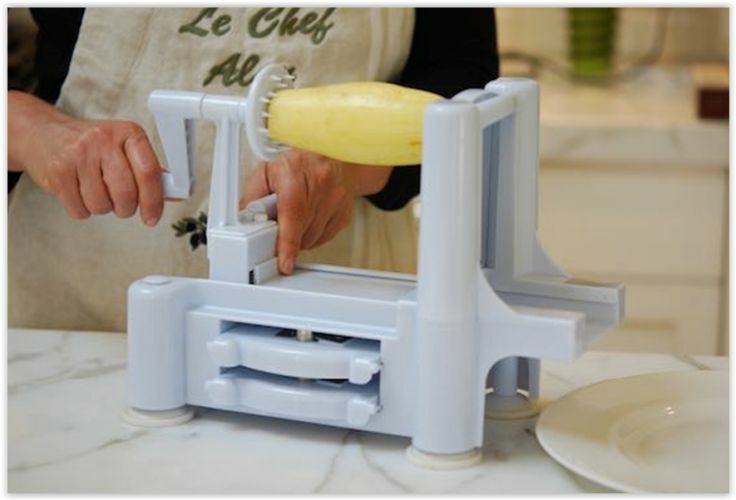 Serve the sauce over the “pasta” and top with the fried garlic, sliced almonds, and fresh, chopped basil.